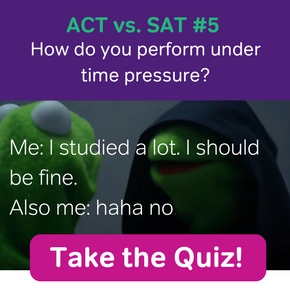 The New SAT really puts an emphasis on visuals in all of its sections. You’ll find charts and graphs in Reading, Writing and Language, and Math. 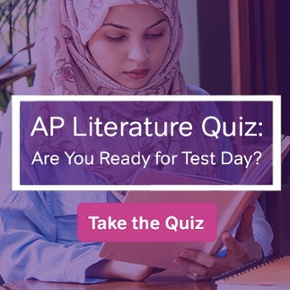 With this new emphasis on visual literacy, the reading of graphs and charts, it’s good to prepare for the kinds of visuals you’ll see on the exam. In this post, we’ll look at the graphics in the most visual part of the New SAT: the Math section. The biggest change to SAT Math involves geometric figures, which are images of lines, angles, and shapes. With the New SAT’s increased emphasis on geometry, there are now so many more of these! In the case of geometric forms, it’s important to understand that some geometric forms are drawn to scale, and some aren’t. If a form is drawn to scale, then the angles and proportions are visually accurate. In other words, an angle that’s labeled as (for example) 90 degrees on a geometric image will actually be 90 degrees if you physically measure it with a protractor. Similarly, if one drawn-to-scale line is labeled as being 10 centimeters long, and another line in the image appears to be half the length of the 10cm line, the shorter line can be accurately estimated at roughly 5cm. So obviously, drawn-to-scale images can help test-takers estimate answers for measurements that aren’t given in the image or problem. How can you know if an image is drawn to scale? Easy! The exam will tell you if an image is not drawn to scale, with a disclaimer that says “Note: figure not drawn to scale.” Any geometric images that don’t have this note are drawn to scale. So if an estimation of an angle, line length or other measurement in the image is required, you can “eyeball” the image and approximate measurements based on known data. For instance, in this drawn-to-scale diagram, you can estimate that angle ADB is 90 degrees, and you can make further sight-based assessments that the degrees of BDA and CDA are smaller than 90. Furthermore, a close visual inspection shows that angles CAD and DAB are smaller than BDA and CDA. These visual estimates can help you eliminate multiple choice answers that are inconsistent with the image, and select a correct answer that matches what you see. In this case, you can’t estimate the angle of X just by looking at it, because the scale is not accurate. However, you can understand that a straight line is a 180 degree angle and you can further understand that opposite angles in an intersection of lines are congruent, having the same degree measurement. From there, you can understand that the equation to solve for x is x + 2x+3x= 180, or 6x=180. Be prepared to have a similar fluency in other geometric vocabulary, formulas, and concepts. 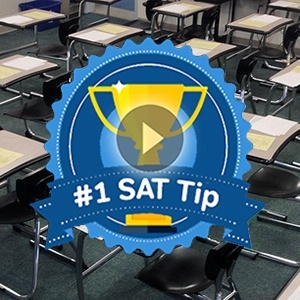 Although the New SAT will give you the formula you need in some cases, you are likely to use geometric principles clumsily if you haven’t already learned and practiced these formulas before test day. Without good prior knowledge of geometry, there is a high risk that you’ll misread and miscalculate what you see in the geometric images on the test. While geometric visuals are a very significant part of Math in the New SAT, graphs and tables that index information are also very important to this section of the exam. I’ll cover those next. Now, I’m going to walk you through the graphs and charts found in non-geometry problems. I’ll show you how to read data infographics and how to use this graphic information to correctly answer New SAT Math questions. In Math on the New SAT, graphs and tables index two types of information: concrete “story problem” information and abstract mathematical concepts. A visual with concrete information shows statistics for specific things, such as the number of people in a group of students, the relationship between two variables such as educational level and income, and so on. Which of the following graphs best shows a weak positive association between x and y? Here, the graphs only show mathematical concepts of association, and don’t actually deal with the way any specific variables are associated with each other. In a story problem based on the table above, you might crunch the numbers in various ways, making calculations that pertain to real-world variables such as average tree height, differences in heights between tree species, and so on. Some test-takers find graphs and tables that deal in “pure math” to be easier than story-problem infographics, because there is less information to keep track of. Other test-takers (myself included) are a little bit more comfortable with graphs and tables that contain specific information, as this can make it easier to visual a math problem. 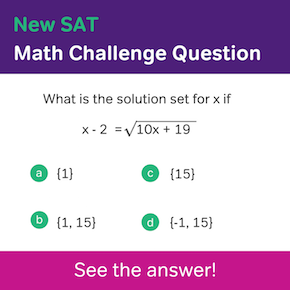 Regardless of your preferences, in the New SAT Math section you should be prepared to read a variety of visuals, some of which index abstract math concepts and some of which represent specific information that’s part of a larger story problem. Right triangle CDE has its right angle at vertex D. The length of DE is 8 feet and the length of CE is 17 feet. What is the length, in feet, of CD?